A basic, yet fundamental part of learning a foreign language is knowing how to effectively purvey your ideas. To do this, especially when you are a beginner, it’s important to avoid sentence fragments. Obviously the second ones are confusing because you either do not know who is going, or you don’t know how to relation the subject and the final idea. But what about if we leave out the final idea–that ending complete thought. 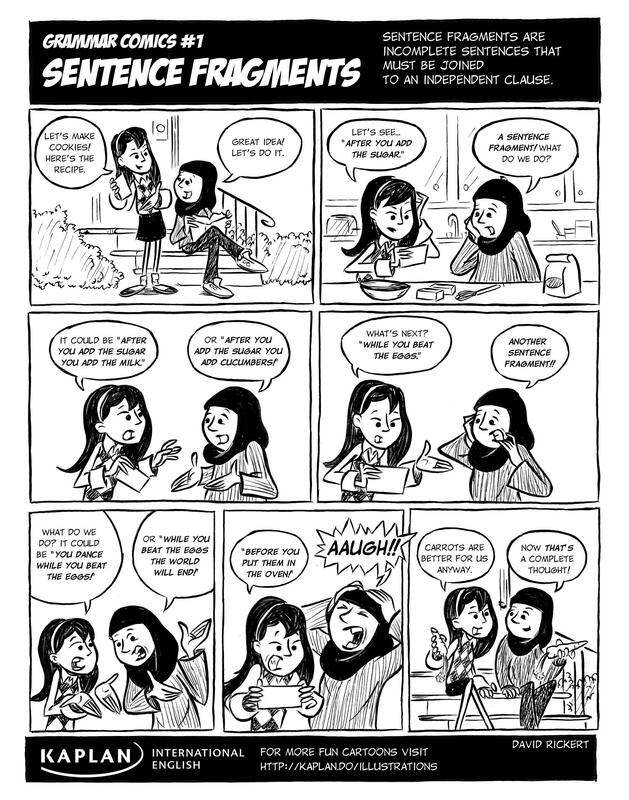 Well, our friends at Kaplan International have provided us with another nifty [neat/cool] comic explaining just how confusing English becomes if you do not communicate in complete sentence (click to enlarge). While you beat the eggs, gradually add the flour. Before you put them in the oven, preheat it to 180 degrees Celsius. If you enjoy cooking, following recipes is a great way to improve your English. 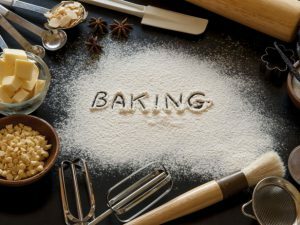 Following is some useful vocabulary for baking (like if you want to make cookies!). Measuring Cup (n): a container used to measure amounts in cups (common measurement in cooking in the United States and Australia instead of liters; for example, add two cups of sugar).